There’s no doubt that expired listings can be a profitable and worthy lead-generation mechanism for brokers new and old. These days, with the proliferation of both agents and tools available to discover expireds, competition is gnawing at returns. In this guide, we explain the reasons behind why expireds can be high ROI lead opportunities, but describe methods in which agents can stand apart and better deliver value when dealing with expired listings as well as introduce a better overall marketing strategy that still fits with an expireds strategy. Before even considering calling on expireds, check your MLS rules and regulations. The California Regional MLS (CRMLS) stipulates that contacting a seller because the listing has expired is a violation of the rules. Beyond that, sellers list their properties in the MLS in order to solicit offers from buyers, not to create leads for new agents. Overly aggressive behavior can often times cross boundaries, incur fines from your MLS, or worse. In the below we help brokers and agents understand how they can properly provide value in their marketing to expireds. The goal when marketing to expireds is to create value upfront by coming with a well thought through plan and not treating the seller as a lead, but instead playing the role of educator, advisor, and domain expert. Expireds are just as they sound — listings on the MLS that didn’t sell and are now beyond the timeline in the agreement between the listing agent and seller, making them fair game for generating leads. Expired listings offer the potential for high ROI lead-generation because there exists the combination of motivated seller and agent-less listing. When listings expire due to the listing agent’s inability to sell (whether through fault of their own or not), it creates an opportunity for a new agent to market themselves to the seller. While traditional methods of acquiring expireds mean dialing for dollars, there exist alternative methods that incorporate more meaningful marketing strategies and can include marketing to expireds. Several channels exist for agents to find and contact expired listings. Typically, when buying expired leads, it is a pretty budget-friendly expenditure. Expired Listing Databases: Services such as REDX or Vulcan7 provide daily lists of expireds at a reasonable cost. Most will scrub the Do Not Call list and append alternative contact information. Do not pass up the opportunity for older expired listings. These may require more effort to confirm and connect, but there is likely less competition among agents for these expireds. This can be a particularly effective strategy in strong seller’s markets. Successfully marketing to expired listings requires a plan. Being able to demonstrate not only what makes you successful, but what you are bringing to the table for this seller is often the difference between winning and losing a listing. Have a gameplan: Whether you’re a new agent or not, coming to expired listings with a clear plan on how you plan to get the listing sold is critical. Do your research to know why the listing didn’t sell. Was it priced too high (use comps), condition unappealing to today’s buyers (use your experience and tools at your disposal), or marketed through the wrong channels? Stand apart: If you have a history of success with getting expired listings sold, be able to prove that to the seller. Want to go a step further? Instead of passively sending out mailers and adding contacts to drip campaigns, create dedicated Facebook ads with language explicitly geared towards your success with re-listing properties. Case studies can go a long way in helping you stand out as an agent. Keep in mind that expireds are motivated sellers! This doesn’t mean, however, that you need to continually push and promote yourself. Instead, listen. What are the motivations, concerns with the home, potential reasons it did not sell, and their goals? Understanding their position first, and then bringing to them a thought-through plan is more likely to land you the listing than making assumptions and telling the seller the same jargon and spiel they likely heard the last time around. 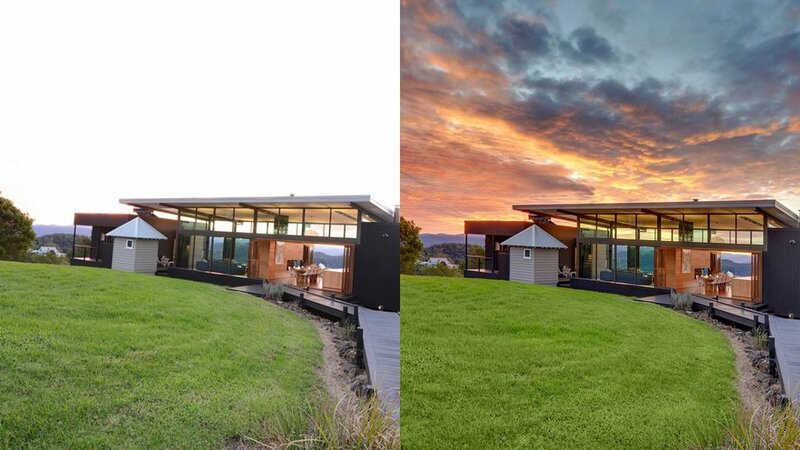 Pro Tip: Use BoxBrownie and existing photos to show a before and after of how the listing will look when you take over. Bring to them a staged new listing with an email that details your plan — and explain why you’re taking the necessary steps. Price reductions. Two words sellers never like to hear. And for those that earn money through commission, lower prices mean lower earnings, right? Not necessarily. It often comes down to the choice between having more of nothing or less of something. Unrealistic Expectations for Value: There is a difference in targeting a highly prices listing for the payoff and working with a seller who refuses to do anything but overprice their home. To understand if this may be the issue, ask the seller why they feel their home is valued at the price point and get to the bottom of their selling motivations. If they’re desperate for cash, reiterate the importance of listing at fair market value so the property has a chance of actually being sold. Unmotivated Sellers: Asking the motivation for selling will reveal lots about the seller. The degree to which they’re motivated may highly correlate to the ease with which you can market their listing, solicit price reductions, and the likelihood of accepting fair offers. Propose different offer scenarios to tease out their willingness to accept. Ultimately, it depends on what works best for your workflow when considering expireds. The most successful routines include being the first to approach expireds, dialing for dollars, and creating a niche. We explain in the next section, however, approaches to marketing differently that can help set you apart (and provide opportunities to more meaningfully connect with expireds leads). As you can see, marketing to expireds is a rather straightforward process that with practice becomes formulaic. However, with something that is relatively easy and cheap to discover comes limited barriers to entry and hence lots of competition. How can you stand apart? Agents who re-think their marketing efforts by better aligning their marketing with consumers stand to win. Specifically, this means thinking of marketing through the eyes of the consumer, not the broker. To do this requires inbound marketing. Prospecting — it’s hard, and for most, it’s no fun. Door knocking, mailers, emails, cold-calling and the like. There are plenty of resources available to agents out there, so we are not going to focus on those. We instead promote marketing that focuses instead on first providing value in order to engage your audience, drawing them to you (instead of you pushing out ads, for example) and and developing your brand and reputation. Successful inbound marketing results in the creation of a brand and a community. Inbound marketing places the consumer at the center of the strategy, not the product. From this vantage point, companies focus on developing products that truly reflect what the consumer needs. In order to do this, brands need to establish themselves within the fabric of the community. Think about this: How often are clients repeatedly using your website to search for homes? How much data about search behaviors can you get to really qualify leads well, as opposed to Zillow? Why then, do agents focus so much on promoting their own website and content on their website? Agents need to promote themselves and their brand where their clients are! The Customer Decision Journey is a different way of approaching the traditional sales funnel. Instead of a linear decision path, firms should engage with customers in a ‘loop’ manner, and this can only be done by placing the customer at the center, not the product. What this means is that brands need to understand where they’re most likely to be seen, and when and how customers make their ‘buying’ decision. For real estate agents, it’s less likely that exists on an agent’s website, it’s more likely it exists on Zillow, but it’s even more likely that it exists in discussions with friends regarding referrals, searching for knowledge experts, remembering that really informative article you wrote, or watching the well-crafted neighborhood video series on YouTube. 1: Daily engagement across social media. It starts here by creating a personal brand and attempting to carve out a niche. Blog or retweet relevant articles about understanding why pricing at fair market value is important, what to do if your home doesn’t sell, etc. Leverage Facebook, Twitter, Reddit, Quora and others and be active. 7: Weekly Blog: Set up a Medium blog or Wordpress and start writing! Write what you know about in your own unique way. Share these blog posts across social media. Here are some relevant topics: Change in housing market, Secrets to Selling, Now is the Time, My Process, Why Homes Don’t Sell, Not All Agents are the Same, Bring an Interested Buyer, Genuine Advice (A problem solver), Specialize in Expireds, Here’s How I’d Sell Your House. 30: Monthly Newsletter: Use your CRM and contacts to start a newsletter. Grab a free mailchimp account if needed to design nice looking emails and include helpful statistics about your local market, links to your blogs, interviews you’ve done — it’s all fair game. 4: Quarterly Events: Host an event to bring sellers to hear you and others chat about the listing process and other topics relevant to those who may currently be listing, thinking about it, or nearing the end of their agreement with little success. 2: Semi-Annual Conferences: Sponsor, attend, and speak at relevant conferences and trade shows. 1: Annual Predictions: Let the world know how you did this year and what you think is in store for next year! The goal is to create a wealth of content in different forms that you can use to present your authority to prospects (expireds or not). Tailoring some content towards expireds and including that in your initial or follow up contacts is likely to cause you to stand out and grab marketshare in the mind of the seller when they’re re-considering listing their home.